Heather’s Pilates journey began when she found relief from persistent back pain following a spine surgery. 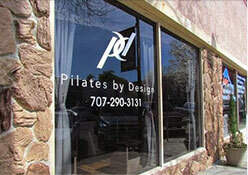 She knew immediately after her first couple classes that she wanted to share the magic of Pilates and become an instructor. She completed BASI’s (Body Arts and Sciences International) comprehensive teacher training and has been working with the Pilates by Design team since the summer of 2013. In addition to Pilates her passions include health and wellness, injury rehab, international travel, yoga and meditation, hiking, swimming and scuba diving. She is currently studying advanced Anatomy and Physiology in preparation for an Occupational Therapy graduate program and loves to apply this knowledge to her Pilates exercises to increase mobility, strength, muscular balance and functionality.